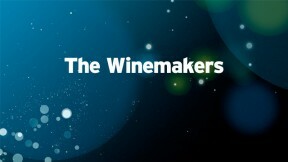 Following in the tradition of hit competition reality series, The Winemakers follows 12 men and women from all walks of life as they vie for a chance to create and launch their own wine label. Set in California's wine country, The Winemakers takes viewers inside the making of one of the world's most storied beverages. The contestants plunge head-first into one of the most challenging yet rewarding (and often romanticized) professions to experience every aspect of wine making — from viticulture and enology to sales and marketing. A seasoned panel of top winemakers, educators, columnists and culinary celebrities oversee the true-to-life challenges the prospective wine-makers would face in the real world. Can the aspiring vintners learn new skills quickly? Do they have enough drive and dedication? In the end, the judges decide who advances to the next set of challenges and who goes home.